Despite years of research and models forecasting various aspects of climate change, we still have a surprisingly limited understanding of how plant and animal communities will respond to climate change. Nor, for most species and locations, do we understand how climate change has already affected ecosystems and the services they provide. This lack of historical information hampers the development of good models to forecast change. Additionally, in some cases, members of the public take this lack of understanding as evidence that climate change is not affecting them where they live. In other cases, people think they see local impacts of climate change, but lack data to support their anecdotal observations. If more information describing past ecological impacts of climate change were available, it would provide people with evidence of real local changes that they could see, and would also provide valuable data to inform scientific forecasts for long-term changes. The naturalist and philosopher Henry David Thoreau provided us with this very type of information in his extensive journals. 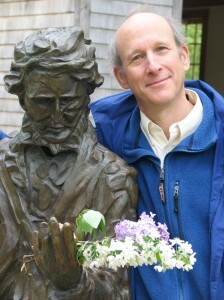 Starting in 1851, he began recording the progress of the seasons in Concord, Massachusetts, by noting the first flowers, leaves and migratory birds of the spring. Dozens of naturalists and professional scientists followed in his footsteps, documenting the flora and fauna of Concord, making the town one of the most intensively studied natural systems in North America. Our work documented many changes that people suspected were happening — and identified a fair number of surprises. For instance, we have found that flowering,leaf out, butterfly emergence and the arrivals of some migratory birds are occurring earlier now than they did 160 years ago — anywhere from a day to three weeks earlier depending on the species — driven mostly by warmer spring temperatures. Although those changes provide striking evidence of the biological impacts of climate change, they are not surprising to most gardeners, birders or other naturalists, all of whom know that plants and animals tend to be active earlier in warmer years. If temperatures are warming, it only makes sense that the timing of spring events is advancing. We were particularly surprised to find the degree to which climate change has shaped the flora of Concord over the past 160 years. 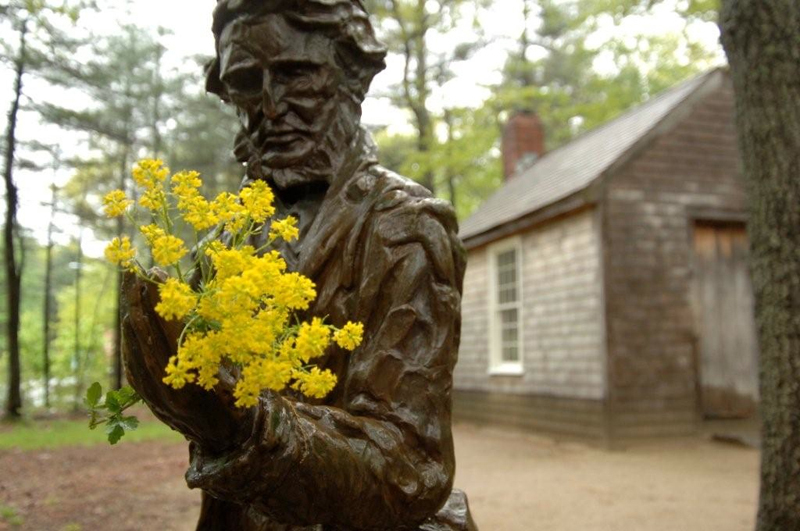 Between Thoreau's time and now, Concord lost roughly a quarter of its wildflowers, while an additional third became rare, in some cases persisting as just few plants or even a single individual. Orchids, lilies, and certain other groups of wildflowers were hit especially hard. That finding was surprising enough, but the real shock was that among a suite of possible factors, climate change best explains which species did well and which declined in abundance. Species with relatively southern distributions and those with flowering times that tracked changes in temperature tended to do well, whereas species with relatively northern distributions and those with flowering times that were unaffected by temperature tended to decline or disappear entirely from the flora. Climate change was better able to explain the changes than were loss of habitat, invasive species and deer herbivory, factors commonly cited as causing declines elsewhere. Climate change is already shaping the overall pattern of winners and losers in the flora of Concord today. We also found that there was remarkable variation among species in how their flowering times responded to climate change — some changed a lot, some only a little and some not at all; some were active earlier and others later. 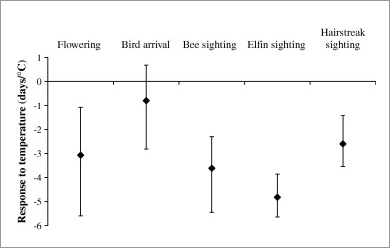 This variation occurred within biological groups (e.g., within plants, flowering times of blueberry species changed much faster than did those of orchids) and across groups (e.g., the timing of spring plant flowering times and butterfly flight times advanced much faster than did bird arrival dates). These differences among species and taxonomic groups suggest that interactions among species are probably changing dramatically as the abundance and phenology of species change in different directions and at different speeds. Mismatches between species are almost certainly happening — to the benefit of some species and detriment of others. For example, birds that don't shift their arrival times may now miss the first flush of spring insect activity and not have enough food to feed their nestlings. In contrast, a bee species that is now active earlier in the spring may avoid bird predation and increase in abundance. Many ecologists are investigating these potential mismatches, but they are difficult to study and document conclusively, so our knowledge of them is still quite limited. 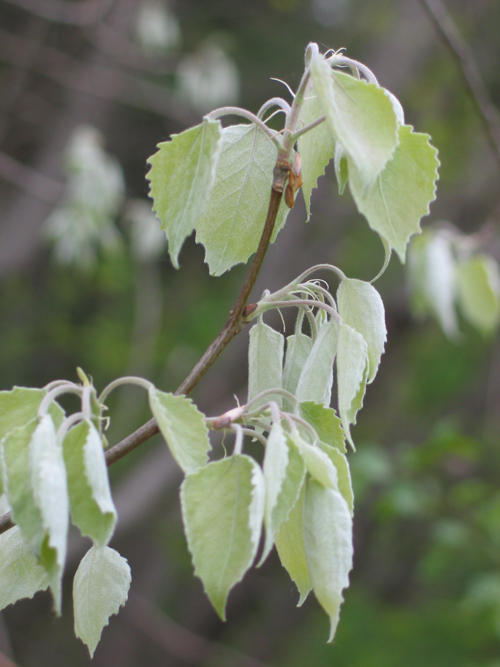 This variation among species' responses to climate change already has measurable consequences for the flora of Concord. Besides the declines of orchids, lilies and other native species, for example, non-native and invasive species, such as purple loosestrife, have increased in abundance. Their flowering times tend to track changes in temperature better than those of native species, suggesting that non-native and invasive species are taking advantage of the longer growing season and may continue to out-compete native species into the future. Additionally, the arrival dates of long-distance migrant birds are not changing much, if any, on average, which means that when they arrive they are experiencing forests, meadows, and other habitats farther along in their spring development than they had in the past. Resource managers are concerned that some long-distance migrants may not be able to adapt to these changes and may decline in abundance as climate change continues and accelerates. Finally, we found that 2010 and 2012, which had exceptionally warm spring weather, had far and away the earliest spring flowering on record. Even more remarkably to scientists, extrapolations from past cooler years provided reasonable predictions of just how much earlier plants would flower given the warmth in those years. The predictions were reasonable despite the fact that the extreme warmth of those years was beyond anything that had been observed in the past. Although scientific maxim dictates that extrapolation must be done cautiously, we had found a case where it provided reasonable predictions. 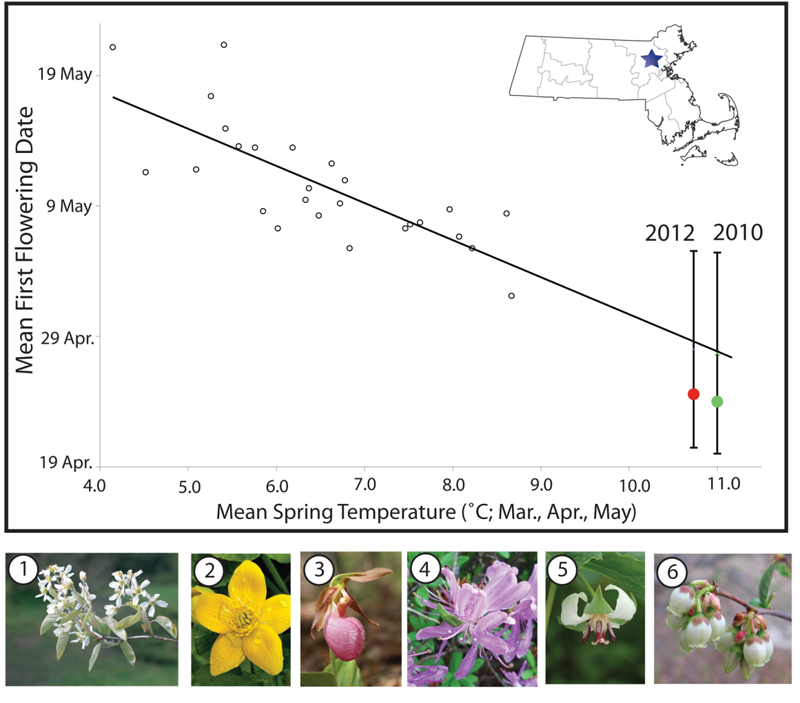 Plants flower earlier on average in warm years than in cool years, as indicated in this graph of common spring wildflowers in Concord, Massachusetts. Many of the observations from cool weather years were gathered by Thoreau. The flowering dates for plants in record-breaking warm years of 2010 and 2012 were within the range of predicted values from earlier years. (Source: Ellwood et al. 2013. PLoS ONE doi:10.1371/journal.pone.0053788). Unless specified otherwise, photographs are made available under an Attribution-Share Alike 2.0 License with date and photographer as listed. 1. serviceberry (Amelanchier canadensis), © 2011 personal collection of R. Primack, 2. marsh marigold (Caltha palustris), © 2009 walker_bc, 3. pink lady slipper (Cypripedium acaule), © 2012 Graham Hunt, 4. rhodora (Rhododendron canadense), © 2012 Andrew Block, 5. nodding trillium (Trillium cernuum), © 2008 Ed Post, and 6. highbush blueberry (Vaccinium corymbosum), © 2007 Anita363. Although the wealth of records in Concord, collected over the years by the town's many naturalists, has certainly provided an exceptional place to do this work, we believe our approach of combining historical records and modern observations could be replicated in many other locations. This approach could improve our insights into the impacts of climate change on other ecosystems and provide examples from around the world. Particularly promising areas to repeat this work are metropolitan areas, university and college towns, research institutions, national parks, areas frequented by naturalists clubs, and places with strong traditions of natural history observations. Other successful projects like ours vouch for the potential of this method. For example, records kept by Aldo Leopold, his family and other naturalists have yielded important insights into long-term changes in phenology — largely, shifts toward activity earlier in the year — in Wisconsin. In California, researchers have repeated historical observations made by Joseph Grinnell to provide evidence that the ranges of small mammals and birds are expanding upwards in the Sierra Nevada Mountains. We have also had success applying this approach in Japan and South Korea, turning up a number of novel data sets in the process. Also benefiting scientists analyzing historical data are new data repositories, like those indexed or managed by DataONE, and the explosion of citizen science projects, such as eBird and Nature's Notebook , where people are repeating basic natural history observations using the techniques of past generations – but recording them online. Many of these citizen science projects can be found at Citizen Science Central, run by the Cornell Lab of Orthinology. However, because of the scattered nature of historical records, most of the records will remain outside of central locations for the near future, and researchers must still spend the time and effort to determine what records are available. The importance of libraries, research institutes and museums in maintaining such valuable historical records cannot be overestimated. Without such records, the type of work we describe here could not be done. We hope that many other researchers, including amateur citizen scientists, will repeat the type of studies that we have done to document the biological impacts of climate change in Thoreau's Concord. Those types of studies could significantly improve forecasts of the impacts of climate change on plant and animal communities, and provide evidence-based stories to inform the public, natural resource managers and policymakers of how ecosystems are actually responding to climate change. Primack, R.B. and A. J. Miller-Rushing. 2012. "Uncovering, collecting and analyzing records to investigate the ecological impacts of climate change: A template from Thoreau's Concord." BioScience 62: 170-180. Polgar, C.A, R.B Primack, E. Williams, S. Stichter, and C. Hitchcock. 2013. "The effect of temperature on the timing of the adult flight period of Lycaenid butterflies in Massachusetts." Biological Conservation 160: 25-31. 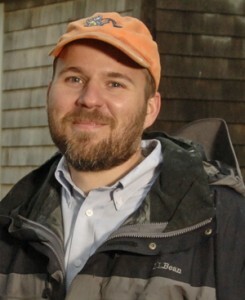 Dr. Abraham J. Miller-Rushing (abe_miller-rushing@nps.gov) is science coordinator at the Schoodic Education and Research Center and Acadia National Park, National Park Service in Winter Harbor, Maine, where he is continuing to use historical records to investigate the impacts of climate change on ecosystems and inform natural resource management practices. Dr. Richard B. Primack (primack@bu.edu) is a professor in the Department of Biology at Boston University and Editor-in-Chief of Biological Conservation, an Elsevier journal focusing on the protection of biodiversity.